Set price drain clearance in Redhill 0791 7852384 Chris the independent plumber. When I clear blocked drains I charge my customers a fixed price which is given over the phone once they have told me what is blocked and were it is situated using my 35 years experience and Knowledge to give an accurate price. I offer an emergency drain unblocking service, and can be with you very quickly being a local independent and not a national or large company. 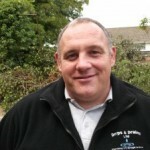 Having unblocked drains in Redhill for over 35 years I have the experience and correct tools for all types of Blockages. Unblocking sinks is when you really need all the right tools with you on your van as without them you could be wasting a lot of time and effort for everyone involved upon which I’m proud to say I have all the right tools with me for all blocked sinks in Redhill I come across. I carry out pre purchase drain inspections and inspections of drains that keep reblocking to locate any faults , also I use my drain camera to retrieve objects that customers have lost in the drains while attempting to unblock their drains themselves like unscrewed drain rods .